Their embrace is long and warm. Pascal Shyirahwamaboko and Jean-Bosco Gakwenzire have known each other since they were in school together, well over half a century ago. It was a hard-won hug after a long path to forgiveness. In 1994, Shyirahwamaboko was part of the gang who hacked Gakwenzire's father to death as Rwanda spiralled into the horrific violence of genocide. Today the two men chat with brotherly smiles after prayers in their local church. Both are elderly farmers, who till the lush fields of cassava, sorghum and sweet potatoes outside the small town of Mutete, 40 kilometres (25 miles) north of Rwanda's capital Kigali. "I hurt him so much, but he forgave me," says Shyirahwamaboko, 68. "Now he is my best friend." Twenty-five years ago this April, the town of Mutete was the scene of unimaginable violence, when neighbour turned on neighbour. 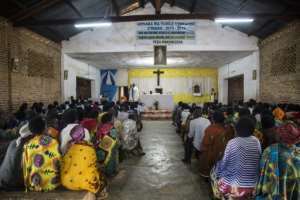 More than a thousand residents of the town were massacred in the days following the outbreak of inter-ethnic violence, a genocide in which over 800,000 mostly Tutsi people were slaughtered between April to July 1994, according to the UN. 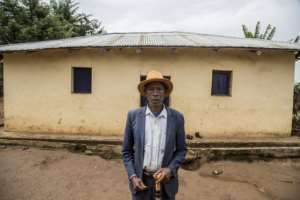 Gakwenzire, a slender 65-year-old dressed in an orange cowboy hat, remembers the arrival of the teams of machete-wielding men, members of a militia gang from the Hutu majority known as the "Interahamwe". They came to hunt down and kill Tutsi people they called "cockroaches." 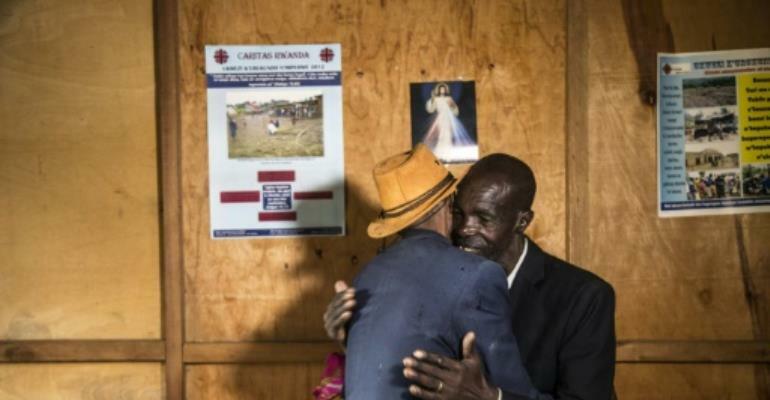 "They went to each and every house that they knew had Tutsis," Gakwenzire said wearily, his eyes filled with sadness as he remembers the traumatic events. "They were cutting them with machetes." Gakwenzire managed to hide from the killers. But his wife and four of his six children were discovered by the gangs. They were all massacred. His father fled to the forest with his cattle but an Interahamwe gang -- which Shyirahwamboko said he had been forced to join -- found him there. Shyirahwamaboko said he at first tried to protect his friend's father. But the militia gave him a stark choice, he said, either he give up the man to be killed, or be killed himself. "I saved myself," he said quietly, and later he took part in the killing of several others. 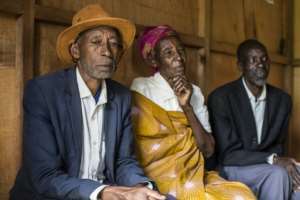 After the genocide, Shyirahwamaboko was arrested and put on trial in a community court known as "Gacaca", a special system introduced to deal with the overwhelming number of people who had to face justice. As a means of promoting reconciliation, many who confessed to even the most terrible crimes were condemned only to carry out simple public works. But Shyirahwamaboko, at first, refused to confess his crimes, so he was handed a much harsher sentence. "It was hard," he said, adding that he envied those who came forward immediately to confess what they had done. "I was confused. How could I explain to people that I had killed someone who was innocent?" For a long time, he did not believe he could ever be forgiven. "At first, we thought it was impossible, because we committed acts worthy of wild animals," Shyirahwamaboko added, but after a long introspection "we came to understand that it could not continue as it was." Things changed. While Shyirahwamaboko was inside jail, he heard that people in the village were still treating his wife Rose with respect, despite the crimes he had committed. In the end, he summoned the courage and asked for forgiveness from his old classmate. When he was released from prison, he came to meet Gakwenzire face-to-face. "It was an unspeakable shame," Shyirahwamaboko said. "It was very shameful to stand in front of someone you had done so much harm when you had previously shared everything." Confessing in public helped reset their relationship. "I do not know if it is because I have become wiser with age, but the reality is that I feel better than before," said Shyirahwamaboko. Gakwenzire slowly found space in his heart to accept that his old friend was truly sorry for what he had done. "I did not feel able to speak or share anything with those responsible for what had happened," Gakwenzire said. "But with time, with prayer, little by little, we began to forgive, to speak of forgiveness and to teach it." After the genocide, Gakwenzire took a long time to rebuild. He eventually remarried and has had five more children. "I forgave many people, who are all my neighbours. I know that those who are dead will never come back, that what we have lost will never come back. But it allowed me to go forward, not to go back down".